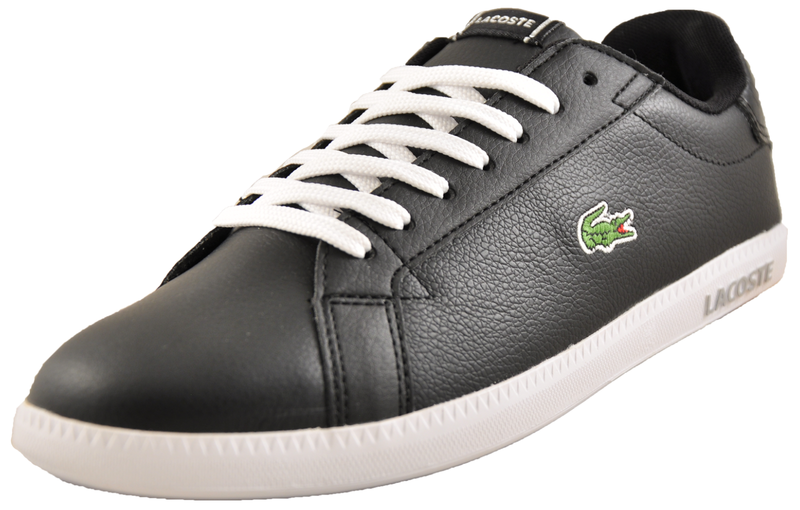 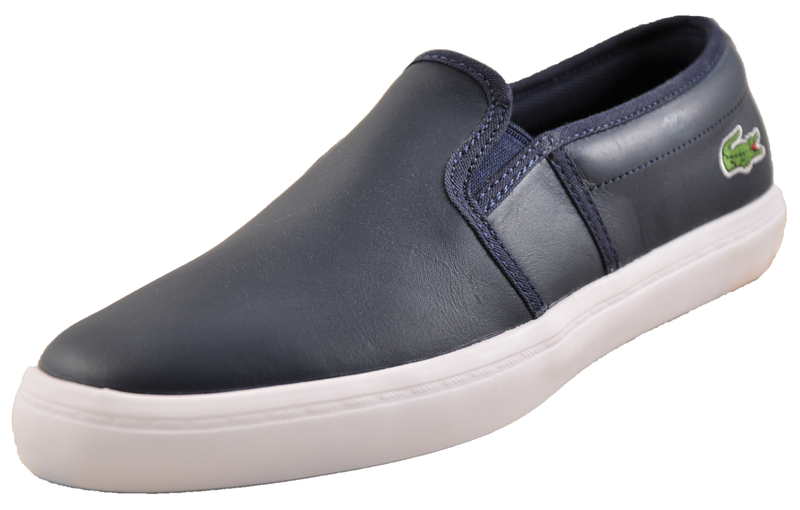 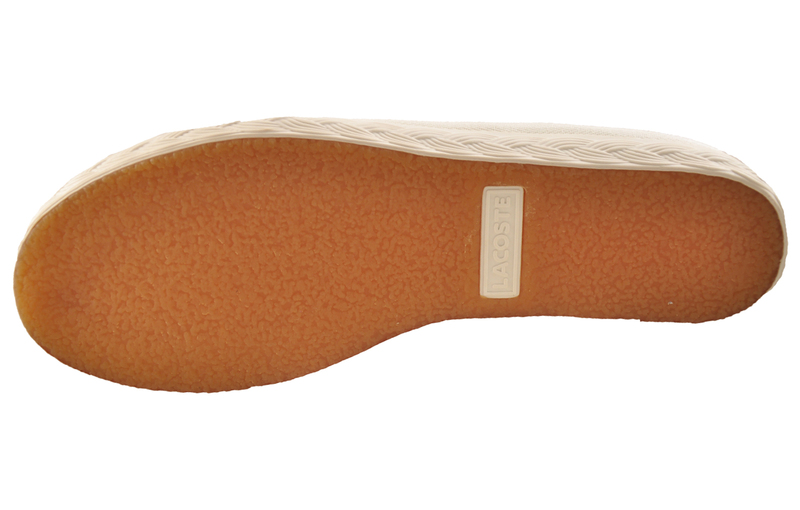 An elegant and stylish plimsol from Lacoste. 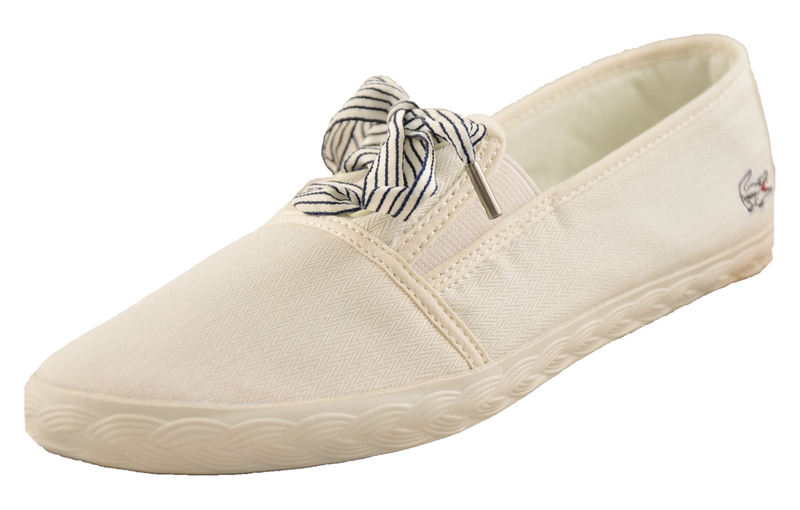 The Lacoste Fabian combines the look of an espadrille with a dash of French style to create a pretty, versatile canvas shoe that’s perfect for weekends or workdays. 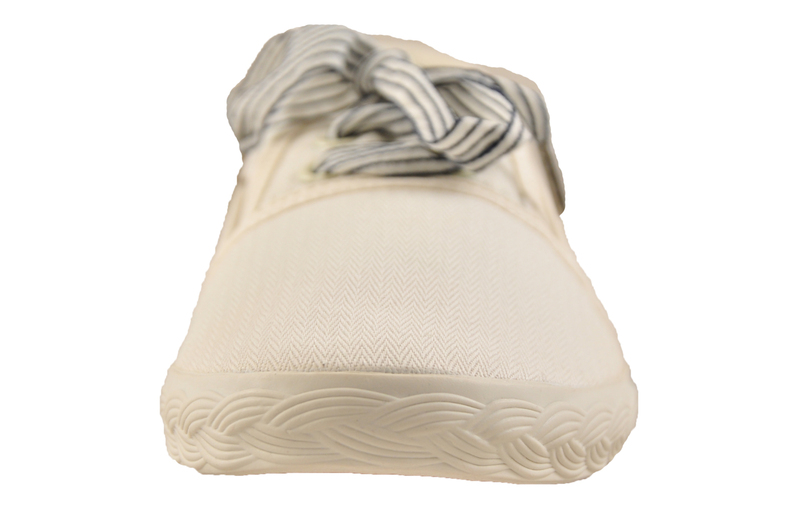 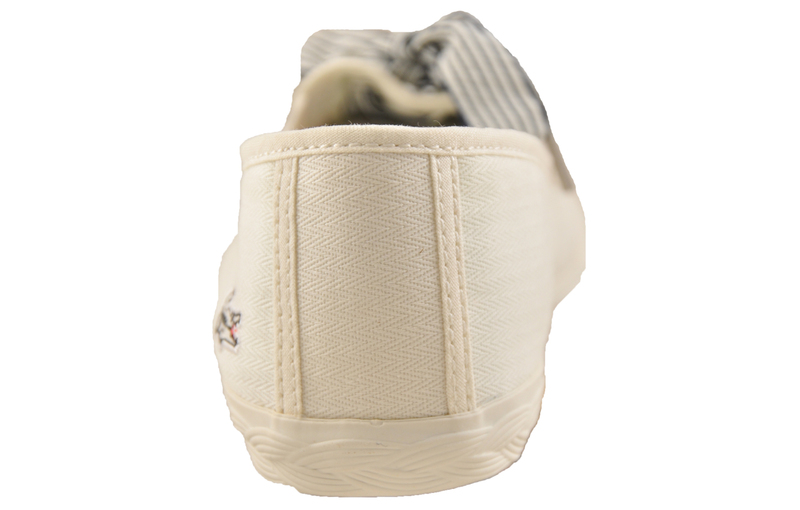 With its adorable ribbon laces, classic herringbone canvas upper and nautical-themed midsole it’s sure to have everyone casting envious glances in your direction, while a padded insole and elasticated gussets will ensure day-long comfort. 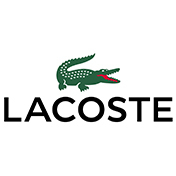 - Iconic Lacoste branding throughout.